The IRONMAN Foundation® announced that it will award a $35,000 Humanitarian Relief Effort grant to Rebuilding Together Houston. 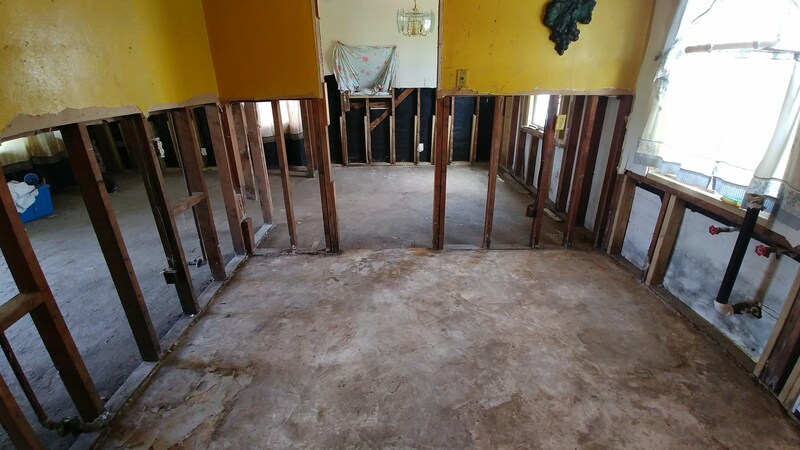 The grant will help restore the homes of two seniors, Ms. Dorothy and Mr. Ronald, who live in Harris County and were impacted by Hurricane Harvey. The grant will also provide athletes with the opportunity to help restore their homes during a service project on April 26. 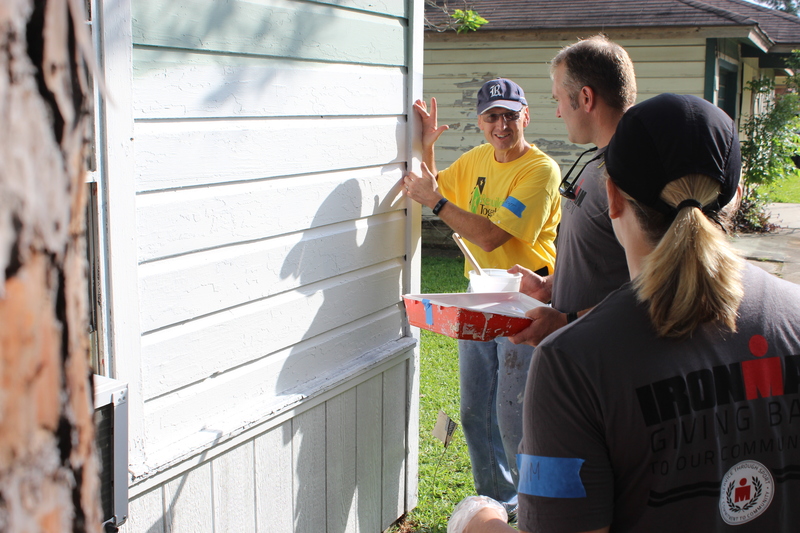 Collectively, they will complete exterior work on Ms. Dorothy’s home and interior work on Mr. Ronald’s home. In addition, the IRONMAN Foundation will distribute $140,000 in charitable giveback to non-profit initiatives and groups in the greater Harris County and Montgomery County regions in conjunction with the 2018 Memorial Hermann IRONMAN® North American Championship Texas triathlon taking place on Saturday, April 28. When Hurricane Harvey’s record flood waters devastated much of Southeast Texas, the IRONMAN community stepped up to support the IRONMAN Foundation’s Humanitarian Relief Effort campaign. 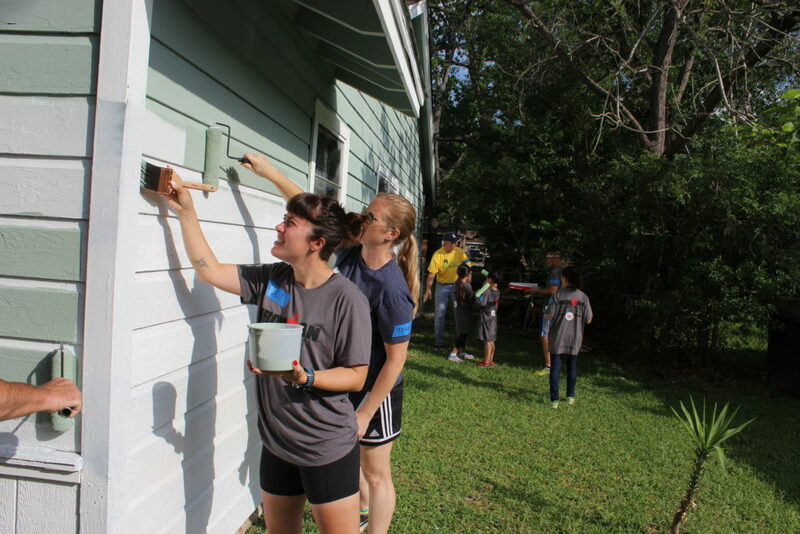 In addition to Rebuilding Together Houston, Interfaith of The Woodlands will receive a $10,000 grant – $5,000 will support their ongoing Harvey recovery efforts in Montgomery County and $5,000 will support their mission-based projects, including the Interfaith Food Pantry Assistance Program. Seven additional local non-profit organizations will receive Community Grant awards during race week of the Memorial Hermann IRONMAN North American Texas triathlon. They include Angel Reach, Boy Scouts of America Troop 491, Education for Tomorrow Alliance, Meals on Wheels Montgomery County, Montgomery County Amateur Radio Emergency Service, Magnolia ISD and Boy Scouts of America Troop 1042. The IRONMAN Foundation Community Fund provides community and volunteerism grant opportunities to non-profit organizations where IRONMAN and IRONMAN® 70.3® events are held. This year’s grant funding brings the total giveback to more than $960,000 in the region since the first event in The Woodlands. In 2018, the IRONMAN Foundation will distribute more than $1.7 million in grant funding to support the needs of IRONMAN race communities across North America. For more information on The IRONMAN Foundation, please visit www.ironmanfoundation.org. For media related inquiries, please contact press@ironman.com.